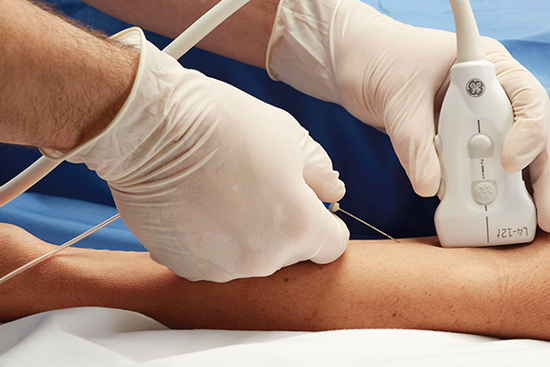 Ultrasound diagnostic equipment, rarely available in a naturopatic pain clinic such as ours, is a safe and accurate means of imaging underlying physical structures, such as muscles, tendons and joints, that hold the key to the underlying causes of acute or chronic painful and inflammatory conditions. No radiation or any harmful or uncomfortable effects are involved. Furthermore, ultrasound provides an excellent means of locating the exact location of muscle tears or inflamed bursa or meniscus for injection of safe, non-steroidal substances for immediate relief of pain and often for regeneration of the damaged tissue. Patients will be pleased to learn that these procedures are usually services covered by their health insurance.